There are reports that the unrest in the Middle East has spread to the Sultanate of Oman. While at the moment there have been only one or perhaps two deaths, small in number relative to the larger number of fatalities in countries like Libya, such a milepost, nevertheless, is sadly likely to indicate that the situation will get much worse. Oman lies east of the United Arab Emirates (UAE) South of Saudi Arabia, and north of Yemen. It is therefore within the region that is now in turmoil. And as the consequences of the unrest begin to compound, the consequences grow beyond the point where simple answers will be sufficient. Oman is not a member of OPEC, but contains the largest oil reserves of any country outside that group in the Middle East. Oman produced 863,000 barrels per day (bbl/d) of total petroleum liquids in 2010, 860,000 bbl/d of which was crude oil. Average oil production in Oman has increased by over 20 percent for the past three years, from a low of 714,000 bbl/d in 2007. At the moment production is growing a little faster (865 kbd) than consumption (115 kbd) so that exports have increased a little. The EIA seems cautiously optimistic that this growth can be sustained in the short term, with the potential for Enhanced Oil Recovery technologies (miscible gas injection, steam and polymer flooding are the ones listed) to give a greater boost to these numbers. The main market for the oil is in Asia, with China and Japan as primary customers. The EIA estimates that Oman has 30 Tcf of natural gas reserves, ahead of both Iran and the UAE. It consumes a fair portion of this so that when one compares production (2.4 bcf/day) with consumption (1.42 bcf/day) there is a smaller percentage available for export. South Korea and Japan are the main customers. Total OPEC production slipped 285,000 barrels, or 1 percent, to an average 29.11 million barrels a day, according to the survey of oil companies, producers and analysts. Daily output by members with quotas, all except Iraq, decreased 335,000 barrels to 26.515 million, 1.67 million above their target. Libyan output fell 200,000 barrels a day to 1.385 million this month, the lowest level since January 2003. Unfortunately it may well be that Libyan production is cut in half, which would bring the loss closer to 800 kbd. Since the Saudi’s have been talking of just raising production to 9 mbd this may not be sufficient to make up for the loss. (They were running at around 8.6 mbd in January). If one adds to the drop in Libya any additional losses that might come from the falling dominoes around them, such as Oman, then it may become too much of a strain to rely on KSA by itself. Current additional flow is apparently coming from Abqaiq as well as Khurais. One of the worries in the present situation has been the increase in violence in Iraq. At the end of last year OPEC had reached a two-year high of production at 29.85 mbd and the increase was largely due to an increase in Iraqi production. And while the refinery that was attacked on Saturday is now back in partial production it will be at least 6 weeks before the plant can be fully restored, and in the interim the company is searching for supplies from neighbors that could be used to meet the national demand. (Iraq's refined product stays in country to meet domestic demand). Of course there are other available sources short term. Gazprom has increased gas supplies to Italy to help cover shortfalls that have arisen due to the supply pipe from Libya being closed. The replacement is a flow of some 1.7 bcf/day, up from the pre-crisis Gazprom supply of 1 bcf/day. And certainly Russia which is producing at equivalent levels to KSA must be considered as a possible additional source. 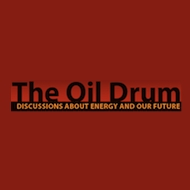 But there is not a lot of spare capacity in their oil production numbers, and there has been talk that they might even decline slightly this year – so that while gas supplies might increase, it is hard to see much of a rescue coming from them at this time to meet any oil production shortfalls. Individually all these individual areas of concern could be relieved by some compensatory change in supply – as the KSA and Gazprom responses to the Libyan declines illustrate. Unfortunately this is not the greatest concern. The spreading popular uprisings are continuing to develop in additional countries and the changes in government that will result (and the conflicts presaging them) will impact fossil fuel production and export over a much longer interval. Particularly if, as might be the case in Iraq, foreign instigators (perhaps Iranian) foment attacks on the distribution networks, then it will not take many incidents before the short-term stability between supply and demand is threatened. The irony there is that Iran itself is not invulnerable to a similar threat, both to the regime, and to their production of fossil fuels. And unfortunately the victim of any fall in production would again be Asia, with over half the Iranian 2.6 mbd of exports going to China, Japan and India. "Not our problem" you might say – as those countries seem to be the customers to a number of the nations at risk – well it might be wise to note that this problem has not gone un-noticed, and both China and India have been purchasing more from Mexico, which given its falling production status, means that the traditional markets for that oil might not be getting as much in the near future. Wonder who that might be? ?